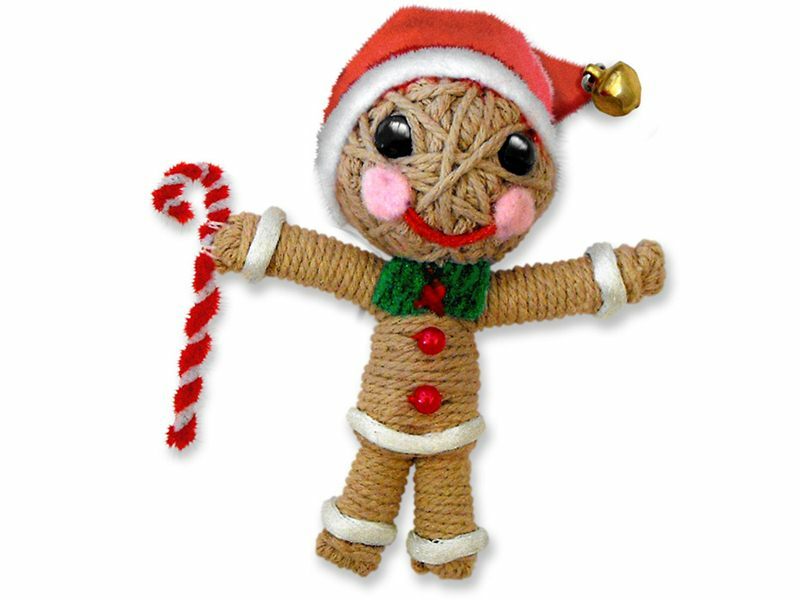 If you need the most adorable stocking stuffers ever (you know you do) than Kamibashi has got your back with their new 100% sweet Gingerbread Man String Doll. The String Doll Gang created by Kamibashi has long been one of our favorite small treats here at Inhabitots. Each member of the String Doll Gang, now numbering in the dozens, comes with his or her own special power that is always positive and helpful for the receiver. String Dolls are made with Fair Trade standards and some special String Dolls even help support important causes. Each String Doll comes with a double-sided fabric identification tag and lobster claw keyring so you can take your little friend wherever you go. As if all this wasn’t awesome enough, Kamibashi has some special deals going on all December long. Although we can’t resist the cute Gingerbread Man, Kamibashi has another adorable Christmas set available right now, at a wonderful low price. 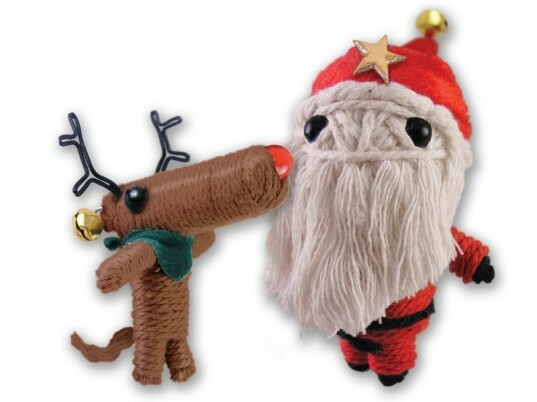 Normally, String Dolls are just $10 a pop, an already fabulous price, but the Christmas Dream Team set comes with both Santa and a helpful Reindeer pal for one low price of $15. Additionally, During the month of December, Kamibashi will donate 5% of all website sales to families in need and local food banks in Asheville, NC. But wait, there’s even more good news. The company will also be donating an extra $3.00 to all the charities they already work with for every Kamibashi Cares doll sold online during December. Any one of the String Doll Gang will make a wonderful stocking stuffer or small gift for an office pal or extended family, and you can’t beat these sweet December deals. Note that while everyone loves these fun dolls, they’re not appropriate for young children (under eight years) due to small parts. If you need the most adorable stocking stuffers ever (you know you do) than Kamibashi has got your back with their new 100% sweet Gingerbread Man String Doll.�The String Doll Gang�created by�Kamibashi has long been one of our favorite small treats here at Inhabitots. Each member of the String Doll Gang, now numbering in the dozens, comes with his or her own special power that is always positive and helpful for the�receiver. String Dolls are made with Fair Trade standards and some special String Dolls even help support important causes. Each String Doll comes with a double-sided�fabric identification tag and lobster claw keyring so you can take your little friend wherever�you go. As if all this wasn't awesome enough, Kamibashi has some special deals going on all December long.